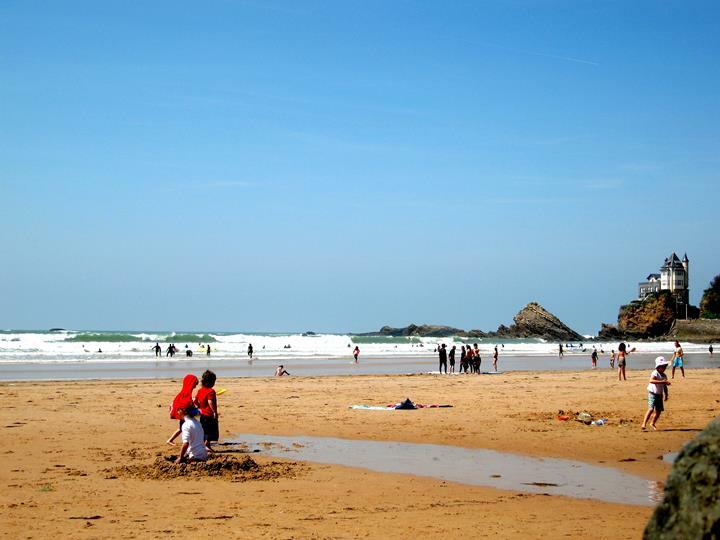 Your holidays in Biarritz (Basque Country) with Camping Oyam. 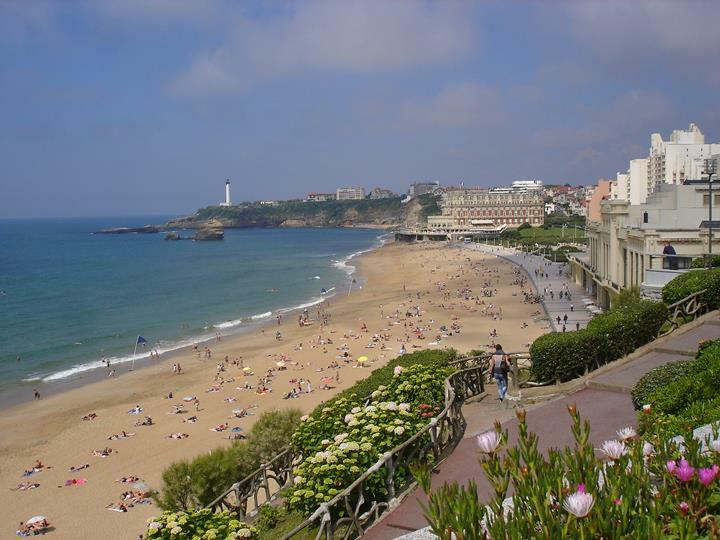 With an architecture linked to a strong history and a bourgeois past, Biarritz is worth a visit by day and by night with its magnificent lighting on the waterfront and in the pedestrian streets, the waves offer a different spectacle with each change of tide and surfers from all over the world recommend visiting Biarritz during a surf trip in France. Biarrot shopping has nothing to be envious of in Saint Tropez with luxury shops but also small and simple shops that delight tourists and children looking for pretty souvenirs from the southwest. Finally, for a good dose of wonder and culture on the secrets of the ocean, visit the Musée de la Mer and the Cité de l’océan, which welcome groups of visitors and their families. The Biarritz lighthouse can be visited and the view from above is exceptional on the bay and the mountains in the background. 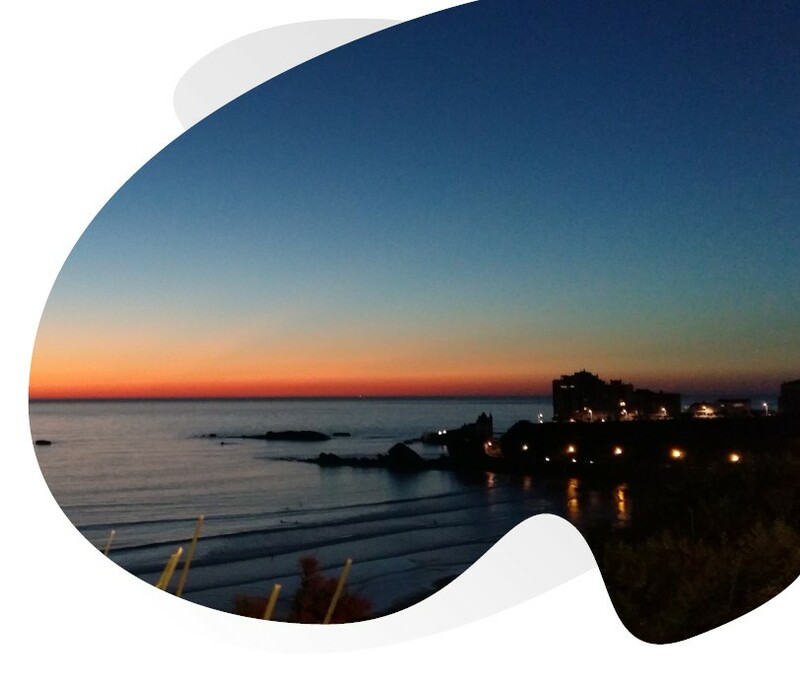 Camping next to Biarritz at Camping Airotel 4 stars Oyam will give you the opportunity to visit this original and unusual city in the surrounding Basque landscape. The beautiful houses and villas will charm you as you stroll through the alleys and along the seafront. The campsite is located on shuttle line n°12 which will take you to Biarritz in the blink of an eye. 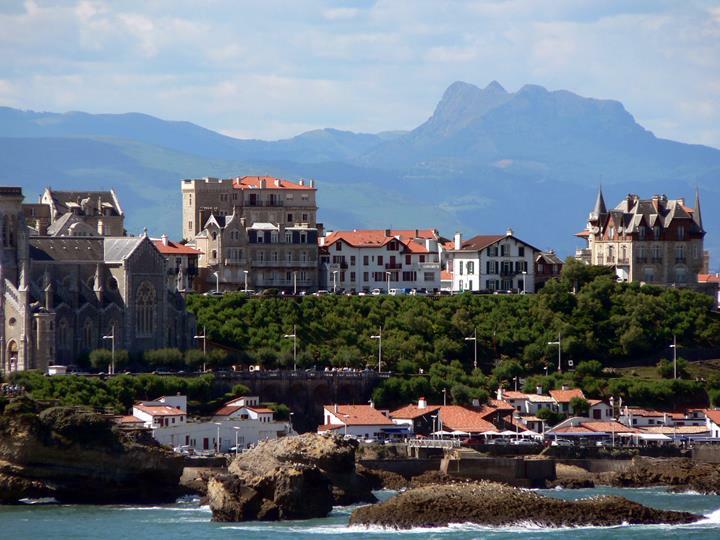 Biarritz is the ideal destination for your camping trips on the Basque coast!